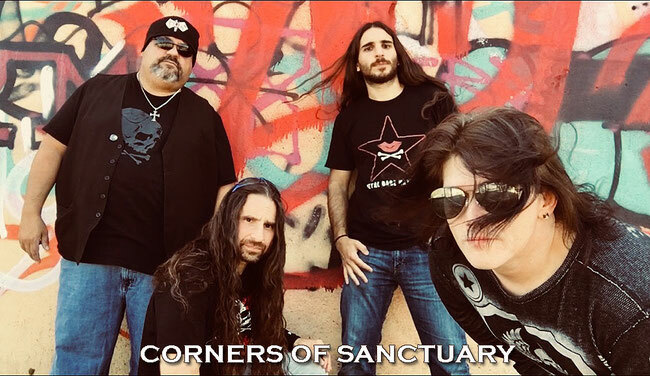 “The Galloping Hordes”, the fifth album from the New Wave of Traditional American Heavy Metal band Corners of Sanctuary (COS), is now available on CD through Killer Metal Records (Germany). The CD version, following an initial digital release last May, officially dropped on August 10th while the band was performing in Belgium. “We are so happy to have the album now available on CD,” said the band’s bassist James Pera. “It was pretty cool to have the CD come out while we were in Europe… just added to the overall excitement of what was happening around us"
“Hordes” features nine new songs plus a bonus track and marks the first full-length studio album with drummer Mad T"
“Galloping Hordes is like nothing I’ve ever done" , said Mad T. “We played a few songs from the album while in Europe and the crowds really connected. I‘m very excited to have fans share the same feeling that I have for COS” he added. This album also marks the first to include several cuts being penned by multiple members including “Encage, Enslave or Die” “Vengeance of the Warrior” “A Soldier’s Last” and “Hail, Hail”. The album was mastered at SkullSeven Studio in California by legendary LA producer Bill Metoyer, who has worked with many notable acts including Slayer, W.A.S.P., Armored Saint and Fates Warning. While on tour in Europe, the band also filmed a new music video for the album’s upcoming second single “Hail, Hail". The CD’s first single was the explosive opening title track “The Galloping Hordes”. See the song’s lyric video below. “It was a guerrilla shoot for sure”, said guitarist Mick Michaels with a smile. “Given our schedule, we had a very small window to get it done... just a couple of hours actually... but we did and had a great time... the video and the tour are milestones for the band”, Michaels added. The “Hail, Hail” video will also feature live performance clips filmed during the band’s recent 10 day tour in Europe. The new video is slated to release later this Fall and will coincide with COS’ upcoming US West Coast tour in November. See show schedule below. Get to know more about Corners of Sanctuary through their website, Facebook, Twitter, and Instagram. 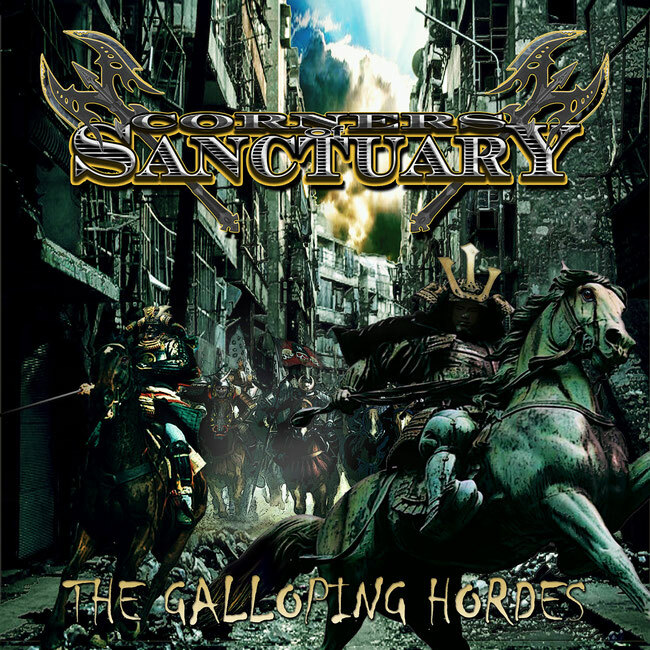 Get the new album “The Galloping Hordes” on CD through their website or KiIller Metal Records. Or you can find it digitally through iTunes, Google Play or Deezer.